If you’re struggling to keep up with consumer debts such as credit card or hospital bills, your creditors may be threatening to start garnishing your wages if you don’t pay. Despite what a debt collector may tell you, wage garnishment for collection of a consumer debt cannot occur without warning, and it is subject to strict limits under Illinois law. 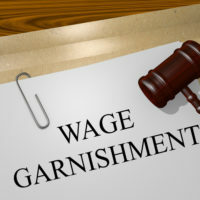 Learn more below about how wage garnishment can occur and limits on wage garnishment below. Wage garnishment allows a creditor to require your employer to withhold a portion of your paycheck and submit it to that creditor for payment of debts you owe. Before a debt collector of a consumer debt can garnish your wages in any amount, however, it must file and win a lawsuit against you seeking the amount of the unpaid debt (the rules for unpaid taxes, child support, or student debt are different). You will need to be formally served with that lawsuit, which will serve as your official notice of the suit. You will then be allowed time to respond to the claims contained in the suit. You can choose to either affirm the existence of the debt, which will result in the court entering a judgment in the creditor’s favor, or deny the legitimacy of the debt. A consumer law or bankruptcy attorney can assist you in challenging the debt in court if you believe you do not owe the amount that the creditor is seeking. A challenge to the legitimacy of the debt will also offer additional time until the creditor could begin to garnish your wages. If its lawsuit is successful, the creditor can use the judgment entered in its favor to seek an order that will allow it to garnish your wages. Even if the debt collector does obtain a judgment against you based on the debt you owe, the amount that can be taken out of your paycheck is limited by law. In the state of Illinois, debt collectors can have only the lesser of the two following amounts withheld from each paycheck: 15% of the debtor’s gross weekly wages, or the amount of the debtor’s weekly wages minus $371.25 (the amount of 45 hours of work at the state’s minimum wage). If the lesser amount is $0, then the debtor’s wages can’t be garnished. Additionally, creditors may not garnish government benefit checks, such as Social Security Disability benefits (SSDI), Supplemental Security Income (SSI), unemployment benefits, and most forms of benefits for veterans. In addition to the limits imposed by Illinois law on wage garnishment, in most cases wage garnishment can be prevented entirely or discontinued by filing for bankruptcy. The automatic stay that is imposed while the court is processing your bankruptcy petition will bring an end to any wage garnishment. Wage garnishment may resume when the automatic stay is lifted if the debt was not eliminated in bankruptcy, however. If you’re an Illinois resident facing an increasing amount of consumer debt and need help, contact the experienced and compassionate Carol Stream bankruptcy attorneys at Johnson, Westra, Broecker, Whittaker & Newitt, P.C. for a consultation, at 630-665-9600.